Venezuelan born, Miami based artist Karen Starosta-Gilinski debuted her most recent body of work in a solo show entitled Unfinished Gem: Intrinsic Beauty at Primary. 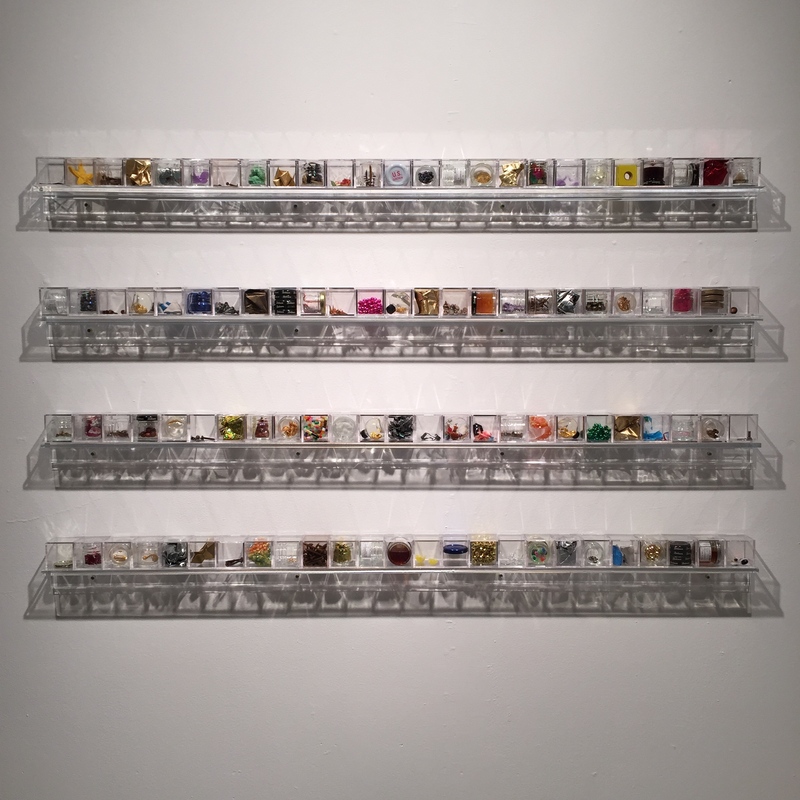 The show, comprised of multiple acrylic pedestals and mounted wall units, displayed various pieces of found objects placed within similarly collected glass jars. 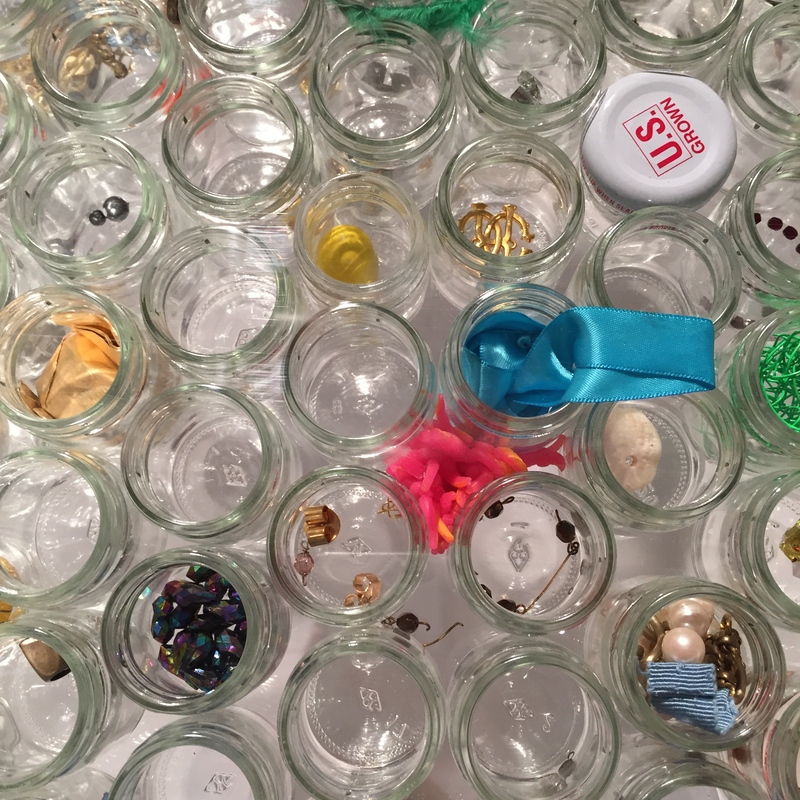 After three years of collecting, Starosta-Gilinski’s exhibition highlights bits of oxidized metals, screws, pieces of chain, feathers and other errant items that had once served a purpose, but were later lost or abandoned as scrap. Starosta-Gilinski explains that by taking in these objects and displaying them on pedestals or wall mounted cabinets she creates a boutique-like setting, respecting the pieces as valuable commodities, and ultimately restoring the lost value of these objects. 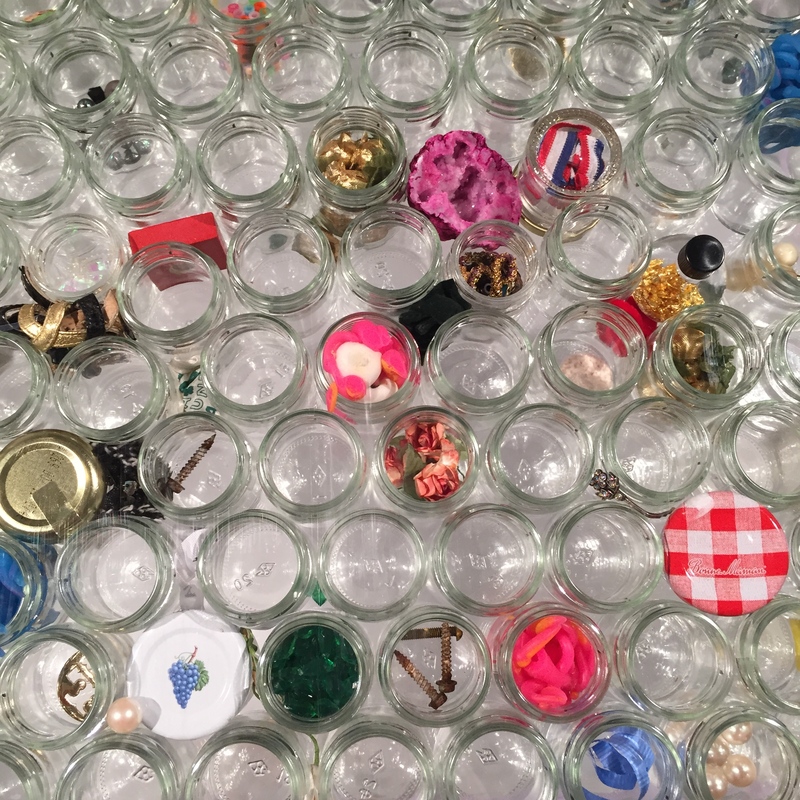 While many of the pieces are created by objects found while going about her daily life, Starosta-Gilinski often finds a personal connection and biographical importance in the pieces. 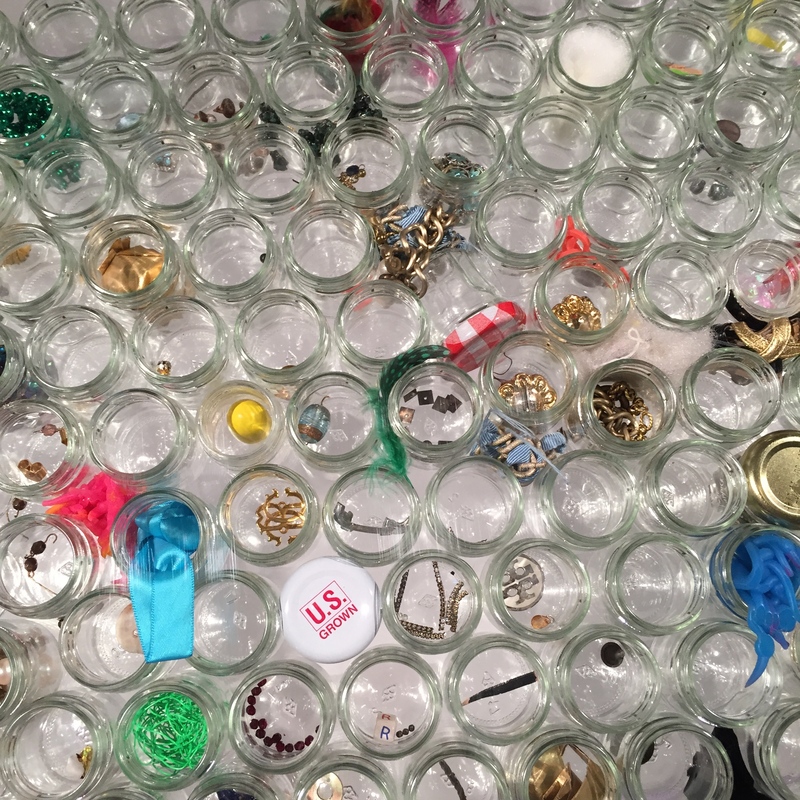 Many of the jars contain traces of their label or expiration date, marking a specific memory or moment in her life. These objects, and their accompanying memories, have also been placed in shelves and pillars used to further classify and archive the pieces. 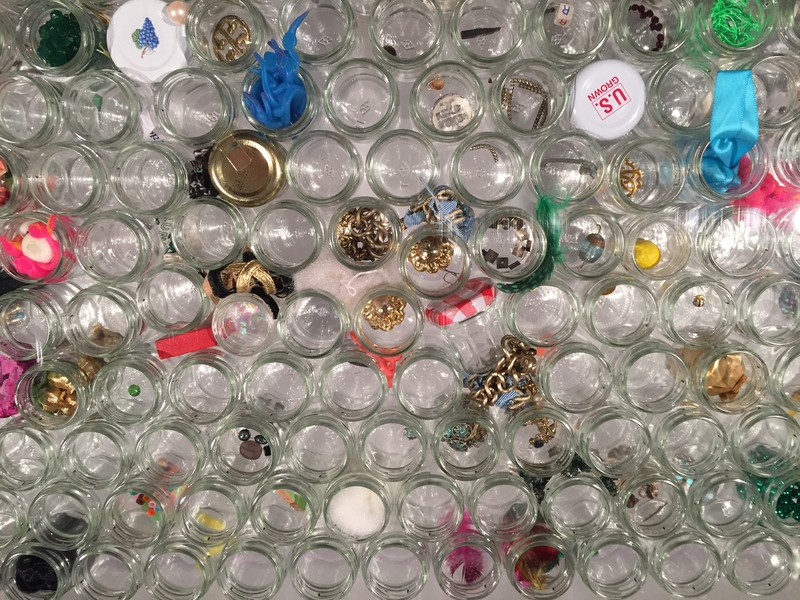 Primary explains, as a result of her practice, Starosta-Gilinski creates a deep tension between the abundance of objects in consumer society and the few of them that personally touch an individual. Overall, Starosta-Gilinski’s first solo show with Primary represents a development in her practice and art as a whole as she once again presents her work in an intelligent manner with a sleek aesthetic and multi-faceted meaning. This exhibition marks a temporary return for both Karen Starosta-Gilinski and Primary to the Miami Design District. The exhibition is currently on view until November 7, 2015.